Younicos is a global leader for intelligent storage and grid solutions based on battery technology. Parter International provided Younicos with a study identifying specific energy storage and consulting opportunities for Younicos in New York State. In the study report, we describe the potential of the market within the state, review regulatory issues and policies affecting that market, note initiatives and incentives, list RFPs and relevant conferences and events, and provide contact information for a variety of public and private organizations that can be approached by Younicos’ sales department. 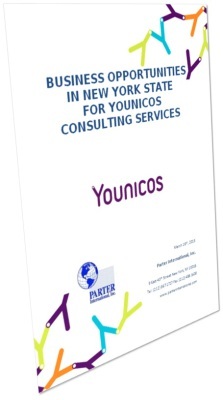 In order to prepare the cost effective sales approach, Younicos needed to have an understanding of the current activity in New York State. Consequently, we provided discussion of regulatory issues, and permitting and codes relating to energy systems and storage. In addition, we studied policies and initiatives that have been launched that impact positively on the prospect of Younicos doing business in the state. This study consists of two distinct documents: the Report and an accompanying Excel list of individuals to contact.